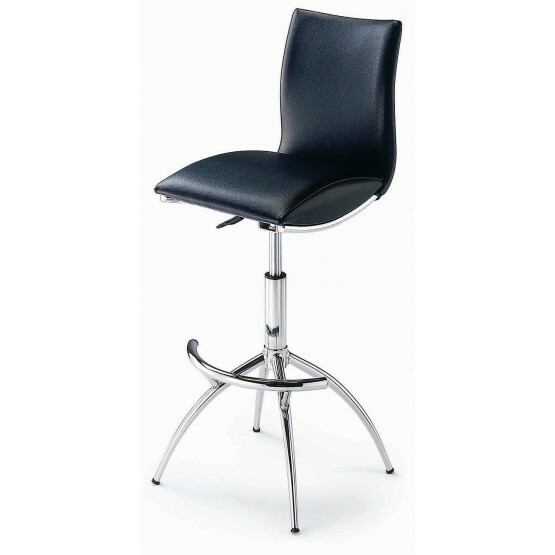 This modern bar stool is sure to complement any home bar. It has a faux leather seat and chrome legs to give you the most comfort. Its adjustable seat height allows you to adjust to your own liking. W18.11" x D15.94" x H38.39"-42.91"